All Consignment sellers and buyers are welcome. 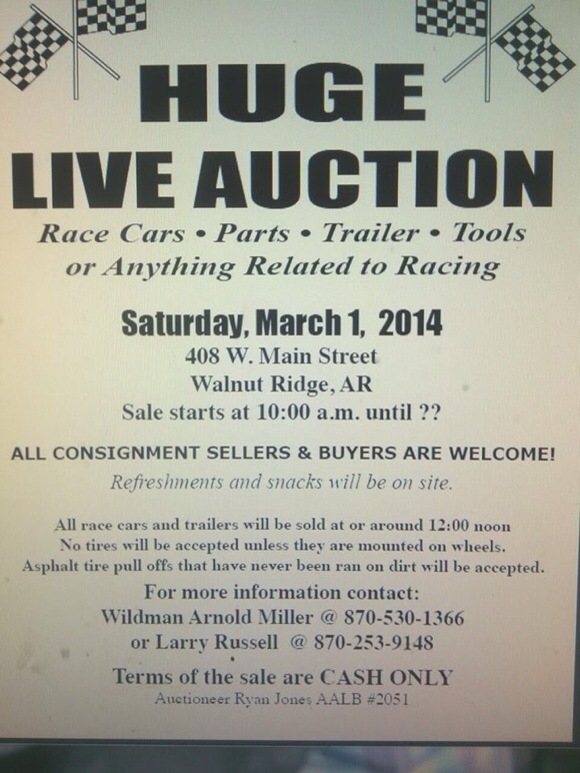 Auctioning of race cars and trailer will begin at or around 12:00 noon. Refreshments and snacks on site.